We made it! Spring is here and we have officially stopped wearing our winter jackets and are ready for a little bit of Vitamin D. April is one of my favorite months as it is the perfect time to doing a little ‘internal cleansing”. Whether it is weight loss, boosting your energy or turning some of your flab into tone – this is the time to do it! In this newsletter, you will find it all – beauty, anti-aging products, my favorite supplements, healthy snack foods and serious tips on how to feel good... naturally. If you have a product you would like featured in the Dr. Joey newsletter – please let us know! We are always looking and testing new products! Rev up your metabolism for spring! – Sometimes you just need a lil' something crispy and salty. 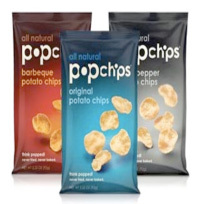 At 100 calories per serving, Pop chips are a lighter alternative to fried, or even baked, potato chips. 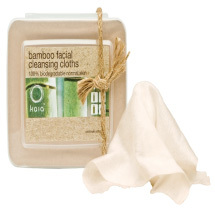 – Skip your cleanser, toner, moisturizer and make-up remover and get clean, glowing skin in one step with Kaia bamboo facial cloths. robiotic bacteria is great for strengthening your immune system and relieving gas, bloating, or constipation – but only if they survive your acidic stomach and make it to your digestive tract. 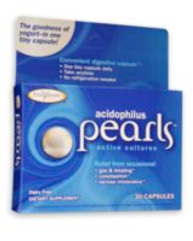 Pearls probiotics are encapsulated in triple layer True Delivery Technology to ensure that you're getting the maximum number of colony forming units (CFU) of good bacteria. Refreshed and re-hydrated your eyes while diminishing puffiness and dark circles. 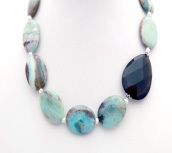 Conceived by CAMH psychologist Andrea Tsanos, Stonefox jewelry is everything a woman wants in an alluring accessory. – Move over, bouillon cubes! There's a healthier way to add flavor to soups, stews and casseroles. Miso is a soy or grain product fermented by Aspergillus oryzae bacteria to create a delicious, salty paste that provides a hefty dose of vitamin B12 and immune-boosting probiotics. Although high in sodium (1 ounce contains over half our daily limit), a little miso goes a long way and adds to your daily requirement for zinc, manganese, and copper. One tablespoon of miso also contains 2 grams of protein for just 25 calories. Try finding a soup stock that does all that! The Japanese were on to something when they started eating miso in the 6th century AD. You can find a variety of miso pastes at Whole Foods Market, Ambrosia Natural Foods, and the natural value food section of finer grocery stores. For recipe ideas, check out Dr. Joey's “Better than chicken soup” (below). 1) Vitamin D – 1000-2000IU per day. 2) 03mega + glow – for beautiful looking skin naturally! 3) Emergen- C – To pick up your immune system at the first hint of feeing unwell. Are you happy? Really truly happy and energized by everything in your life? If not, you're not alone. Low mood and depression are endemic due to the ever-hurried pace of our lives and lack of quality time with oneself and loved ones. This book reminds us of how to regain meaning and joy in our lives with a healthy serving of nutritional medicine and side helping of highly effective tips on how to manage stress. 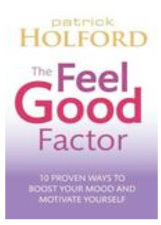 Holford provides natural alternatives to anti-depressants, sleep aids, and more in a step-by-step guide to living our healthiest, happiest lives. 1) Heat 1 tablespoon coconut or olive oil in a pan and add 1 tablespoon of xylitol (low-GI sweetener) and 50 grams (1 ¾ oz) whole oat flakes. Stir for 3 minutes or until golden and crisp. 2) Add 1 tablespoon sliced almonds and 1 tablespoon macadamia nuts, chopped. Cook for 2 minutes. 3) Remove from heat and stir 1 tablespoon pumpkin seeds or ground chia seeds and 1 tablespoon ground almonds. Serves 2. Interested in learning more? Patrick Holford, the UK's leading authority on nutrition and mental health, will be giving a public workshop on Sunday, May 1 at the Fairmont Royal York Hotel in Toronto. Heat oil in a saucepan over medium-high heat. Add onion and thyme; sauté for five minutes or until onion is tender. Add thawed artichokes; sauté for two minutes or until thoroughly heated. Add broth and quinoa. Bring to a simmer. Cover and cook for about 15 minutes or until liquid is completely absorbed. Remove pan from heat. Stir in parsley, rind, juice, and salt. Enjoy! 1) Place fish in a 13 x 9-inch baking dish. Drizzle with olive oil; sprinkle with salt and pepper. Bake at 450° for 8 minutes or until opaque in the middle. 2) Combine cucumber, mint, yogurt, lemon juice and paprika in a bowl. 3) Place one fillet on each of 4 slices of toasted bread; top with 1/4 cup yogurt sauce, and a handful of watercress for a refreshing open-faced sandwich.